The Oil Cleansing Method (OCM) is a simple way of cleaning your skin with the help of natural oils. At first it might sound strange to apply oil on your face as a facial cleanser but for many people who have tried this method it was a complete life changer. With the help of the Oil Cleansing Method for Acne Prone Skin you can get rid off whiteheads, blackheads and have a radiant, spotless skin. Selecting the right oil is essential – it will nourish, heal and purify your skin. 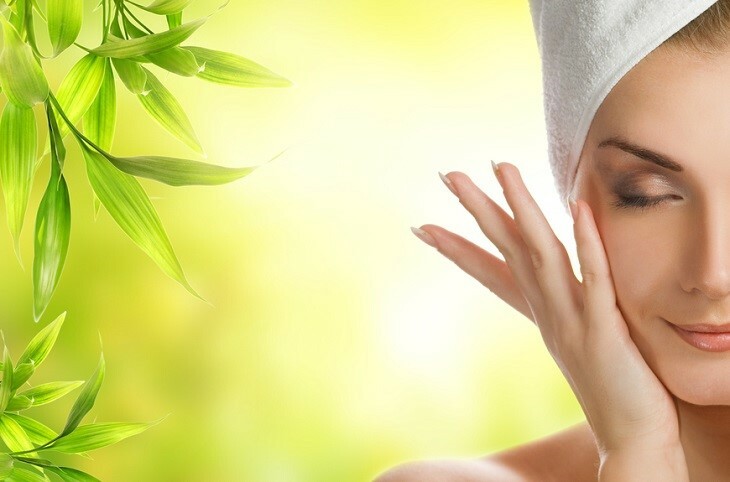 In this article we have collected lots of useful tips and information on the Oil Cleansing Method for acne prone skin. If we want to understand how and why Oil Cleansing Method works, we have to understand first how acne forms. While there might be several things going on internally within the body that lead to an acne prone, problematic skin (eg. hormonal imbalances, bad diet, toxins or inflammation), on the surface it is clogged pores that always lead to acne. Our skin produces sebum, an oil that is essentially a good thing. It contains a lot of vitamin E, an antioxidant that protects the skin from aging. However if sebum is over-produced, it gets stuck in the pores, creating blackheads or whiteheads which can easily get inflamed and infected. This is when the pimple forms. So the key to a healthy skin is to prevent clogging as much as we can and to stop the skin from over-producing sebum. 2. How does Oil Cleansing Method work? If you use harsh chemical-laden products that strip your skin of its natural sebum (most of the regular products on the shelves are like that), the skin goes into overdrive, trying to create more sebum. It is easy to see that this will lead to clogged pores, irritation and eventually even more acne. The Oil Cleansing Method is different from most traditional cleansing methods because it uses oil to clean out your pores as opposed to soap or water-based ingredients. But how can oil clean your skin? Well, this method operates under the principal of ‘like dissolving like’. Meaning that the oil can reach deep down into the pores effectively dissolving sebum, removing all the dirty oil from your face and replenishing it with clean, nourishing oil. 3. Is Oil Cleansing Method good for everyone? If you are wondering whether the Oil Cleansing Method is good for your skin or not, you can be sure that natural oils are beneficial for every skin type. The most important thing is to find the oil that suits your skin and than stick to it. Natural, high-quality oils are packed with nourishing fatty acids and nutrients that are wonderful for your skin. Even people with oily skin can benefit from using them, since oils are gentle and they help regulate sebum production. If you have acne prone skin, you want to make sure to use oils that will not clog your pores. Read on to find out which oils are right for you! 4. How to clean your face with oil? Poor a small amount (1 teaspoon) of oil or oil blend into your palm and massage it into the skin on your face. Move slowly using gentle, circular motion. Focus on the problematic parts more and let this be a pampering, gentle facial massage. It is recommended to massage your skin for about 2 minutes for best results. Allow the oil to sit on your skin for about 30 seconds. During this time let the hot water run to make sure you have the highest temperature. Immerse your washcloth in hot water – it should be at the highest heat you find comfortable on your face and hands – and place it over your face for another 20-30 seconds. Optionally you can cover it with a large dry towel to keep the steam in. Rinse the washcloth again in hot water, then use it to gently rub the oil off of your skin. Repeat this step until you are sure that all the oil has been removed. Wait a few moments to see how your skin feels. If needed, apply your favorite natural moisturizer or use a few drops of the cleansing facial oil. 5. How to include OCM in your daily routine? With the Oil Cleansing Method it is important to stay consistent, in order to achieve the best results. Pick a routine that suits you most and stick to it for at least 1 or 2 weeks. You can do the OCM every day or only a few times per week – it all depends on your skin type. With acne prone skin though, it is important to do this method daily. Best to stay away from any soap or detergent-based cleansers while you are using the Oil Cleansing Method. Drying, soap-based products and oil-free acne treatments can rob the skin of its defenses, leaving it vulnerable and triggering the sebaceous glands to produce even more oil. Use natural toners (Witch hazel extract, Damascus Rose Water, Apple Cider Vinegar) or other plant based products but try to stay away from regular products that strip your skin of its natural sebum. 6. What kind of oils are good for oil cleansing? The most important part of the Oil Cleansing Method naturally, is the quality of the oil we put on our skin. Rule number one: always use high quality, cold-pressed and organic oils! Only natural oils (and their specific combinations) are suitable to cleanse the skin and balance its natural oils. Overly processed oils, like cooking oils, can clog your pores and cause break-outs. The basic recipe uses castor oil and carrier oil (such as grape seed oil, jojoba oil, sunflower oil or apricot kernel oil) mixed in different proportions, depending on the skin type. Castor oil has amazing cleaning effects and it acts as the cleansing agent while the carrier oil nourishes the skin. Optionally a few drops of essential oils can also be added as boosters. Depending on your skin type and personal preferences you can create your own oil mix. There are many different recipes. Read on to find out which recipe is good for your own skin type. You can also find more ideas here. 7. Which oils are good for acne prone skin? There are several oils that can help acne skin in many ways. Some oils have anti-bacterial effects and can kill acne-causing bacteria and there are oils with high linoleic acid, which can reduce clogged pores. Oils with anti-inflammatory effect can help bring down the redness and swelling associated with acne. When you are treating acne you have to make sure to use non-comedogenic oils (oils that do not clog your pores)! Some of the best oils for acne prone skin are: Hemp Seed Oil, Rosehip Seed Oil, Sunflower Oil, Black Cumin Seed Oil, Neem Seed Oil. If you use other cosmetics besides oil cleansing, make sure you avoid pore-clogging ingredients in those cosmetics as well. 8. Is Oil Cleansing Method good for oily skin? Though it might seem strange to apply oil to an oily skin, it’s actually the most logical solution. The skin produces more of its own oil (sebum) when it’s dry and less when it’s balanced. As we already mentioned before, most commercial facial cleansers are too harsh and strip our natural oils. This results in our skin producing more oil to compensate for its lack of moisture. Therefore, oil cleansing method is the best you can do for your oily skin. It has a gentle cleansing effect combined with deep hydration. For oily skin mix 30% castor oil with 70% high linoleic sunflower oil. Instead of sunflower oil you can also use grape seed oil or sweet almond oil. 9. Which oil to use for dry skin? When treating dry skin, we need to reduce the amount of castor oil because of its drying effects. Try with 10% Castor Oil, 30% high linoleic Sunflower Oil, 60% Avocado Oil. If it is still too drying, use even less castor oil in your mix. Other nourishing oils are Argan oil, Apricot kernel oil and Jojoba oil. When starting with oil cleansing method always do a patch test first. Always, always use high quality products. Never buy anything that isn’t organic and cold pressed. Itching, inflammation, and rash are not normal. If this happens, it means you are allergic to something in your mix. Oil is perfect make-up remover, you don’t have to remove make-up before cleansing with oil. When you start with OCM don’t add essential oils especially without knowing what they do. Learn more about them and add them later to your oil mix. Read more about essential oils here. Try to avoid coconut oil (it clogs pores) and olive oil. Make sure to wash your wash cloth regularly as they will begin to accumulate oil residue. Micro fiber cloth can be used as well.